Clyburn complained that “are so many people afraid of being too closely identified with President Obama.” The reason they don’t want to be identified with his agenda because his successful programs have been demonized. The reason for the demonizing? 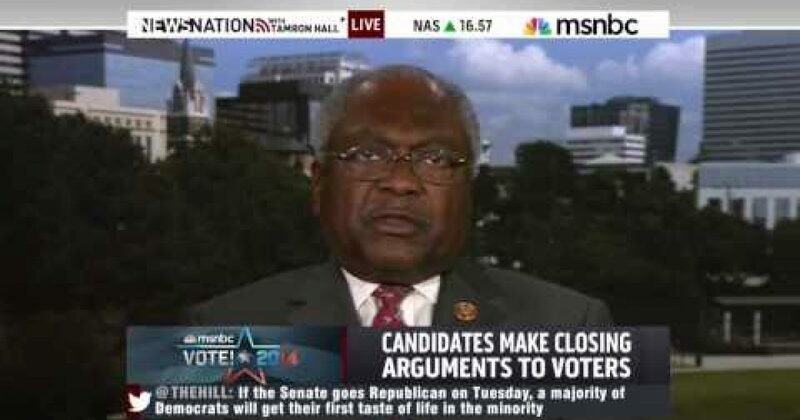 After hall played the controversial Mary Landrieu comments about race, Clyburn gave his answer—racism. Hall: Our first read team basically says the GOP said Obama stinks, that’s the quote there and the Democrats never countered that.